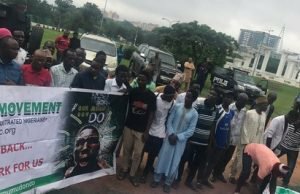 Some Nigerians, mostly youths yesterday stormed Abuja, the nation’s capital in protest against the long absent of President Muhammadu Buhari from the country. 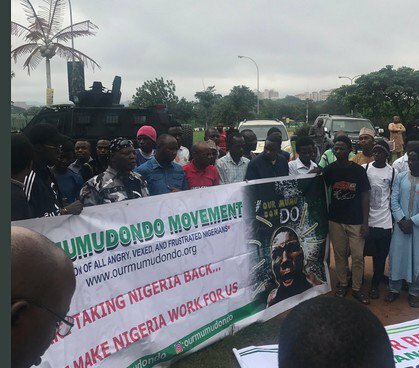 The protesters, led by maverick AreaFada, Charles Oputa, otherwise known as CharlyBoy are calling on the president to either return to the country, resume office or resign. The protesters converged at the Unity Fountain and are marching to the National Assembly singing solidarity song. Hmmmmmm this is really not funny, we have a president that is sick and does not want to let another person rule, how sure are we that he is alive biko?